We consider brushing our teeth as no task. We practice is daily. If someone asks us how hard is brushing your teeth, our reply would be that it is a piece of cake. Well, brushing isn’t that simple. There are few things which you need to focus on and a few tips which you must never forget. So, let’s have a look at top mistakes which we have been making for all this time. It is a misconception that the harder the bristles, the better it’s going to brush. Hard bristles do no extra work other than damaging your gums. It is advised that you go for the brush with soft bristles and a small head which will allow it to reach out to end areas of the mouth and will help remove debris and plaque. Our toothbrush grasps loads of bacteria and must be replaced every 3 to 4 months. Given that your immune system is weak and you fall ill often, replace your toothbrush more often then. Also, don’t forget to replace your brush if it has damaged bristles. The perfect angle is 45 degree to hold your brush which brushing your teeth. The gums can be cleaned in a line and gently this way. Don’t rush into brushing your teeth. Give it at least 2 minutes. To keep yourself glued to it for this time, play your favorite song in the background and brush till it finishes. Fluoride toothpaste is the most recommended toothpaste as it prevents tooth decay. 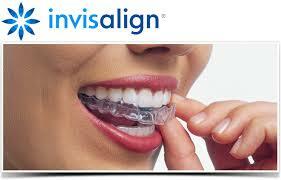 However, you can visit our dentist and he/ she can prescribe one according to the type of teeth you have. The best way to get most of the benefits of fluoride toothpaste is to not rinse right after brushing, rather spit and leave your mouth minty. People mostly miss out on cleaning their tongues and don’t consider it that important. However, it is recommended that you brush your tongue too as it helps fight bad breath problems. What better excuse do you need than this? Keep your brush at least 2 to 3 meters away from the toilet seat as the germs from there tend to fly and get stored on your brush and you surely don’t want to have a taste of it. It is better to keep it closed away in a cupboard. At Alexandra Park Dental Practice, we offer Hygienist appointments, so you can discuss your oral regime with our friendly clinicians. Call us on 020 8829 8555 to book your appointment.